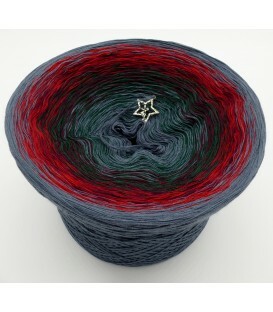 Dezember (December) Bobbel 2017 - Weihnachtsnacht (Christmas night) - 4 ply gradient yarn, 5 colors: granite, fir green, chianti, burgundy, granite. Fiber Content: 50% cotton 50% polyacrylic. 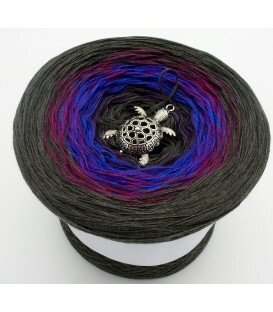 November Bobbel 2017 - 4 ply gradient yarn, 5 colors: anthracite, purple, gentian, blackberry, anthracite. Fiber Content: 50% cotton 50% polyacrylic. 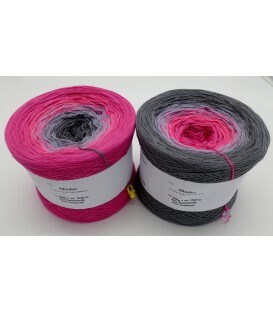 October Bobbel 2017 - medium gray outside - 4 ply gradient yarn, 4 colors: fuchsia, candy, steel, medium gray. Fiber Content: 50% cotton 50% polyacrylic. October Bobbel 2017 - fuchsia outside - 4 ply gradient yarn, 4 colors: medium gray, steel, candy, fuchsia. Fiber Content: 50% cotton 50% polyacrylic. September Bobbel 2017 - Jeans blue mottled outside - 4 ply gradient yarn, 4 colors: shadow, bishop, Indigo mottled, Jeans blue mottled. Fiber Content: 50% cotton 50% polyacrylic. September Bobbel 2017 - shadow outside - 4 ply gradient yarn, 4 colors: Jeans blue mottled, Indigo mottled, bishop, shadow. Fiber Content: 50% cotton 50% polyacrylic. 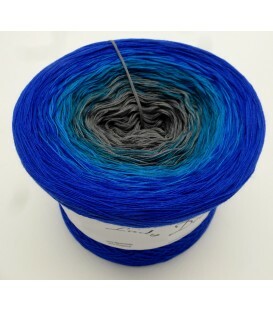 August Bobbel 2017 - medium gray outside - 4 ply gradient yarn, 4 colors: gentian, sea blue, jungle, medium gray. Fiber Content: 50% cotton 50% polyacrylic. 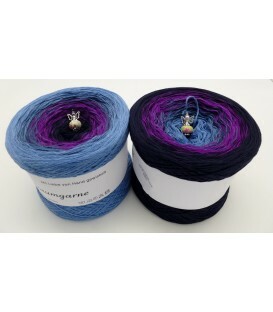 August Bobbel 2017 - gentian outside - 4 ply gradient yarn, 4 colors: medium gray, jungle, sea blue, gentian. Fiber Content: 50% cotton 50% polyacrylic. 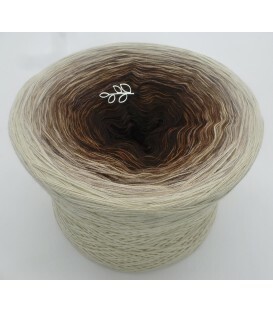 Juli (July) Bobbel 2017 - light beige outside - 4 ply gradient yarn, 8 colors: chocolate, brown, nut, brown mottled, mud, beige, gravel, light beige. Fiber Content: 50% cotton 50% polyacrylic. Juli (July) Bobbel 2017 - chocolate outside - 4 ply gradient yarn, 8 colors: light beige, gravel, beige, mud, brown mottled, nut, brown, chocolate. Fiber Content: 50% cotton 50% polyacrylic. Juni (June) Bobbel 2017 - cream outside - 4 ply gradient yarn, 4 colors: violet, lilac, pastel pink, cream. Fiber Content: 50% cotton 50% polyacrylic. 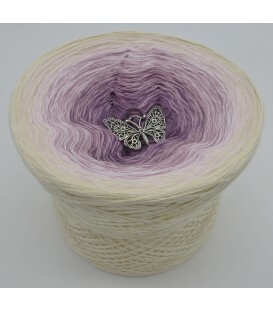 Juni (June) Bobbel 2017 - violet outside - 4 ply gradient yarn, 4 colors: cream, pastel pink, lilac, violet. Fiber Content: 50% cotton 50% polyacrylic. May Bobbel 2017 - Purple outside - 4 ply gradient yarn, 5 colors: Caramel, Cognac, Date, Malaga, Purple. Fiber Content: 50% cotton 50% polyacrylic. April Bobbel 2017 - White outside - 4 ply gradient yarn, 4 colors: frog green, leaf green, vanilla, White. Fiber Content: 50% cotton 50% polyacrylic. 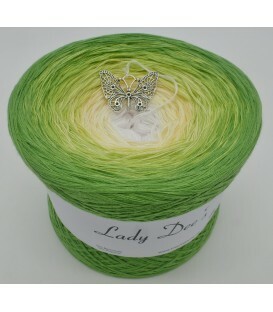 April Bobbel 2017 - frog green outside - 4 ply gradient yarn, 4 colors: White, vanilla, leaf green, frog green. 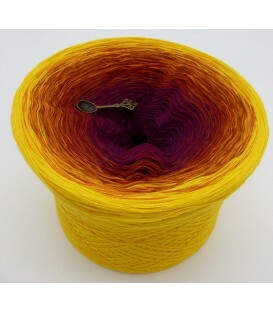 Fiber Content: 50% cotton 50% polyacrylic.